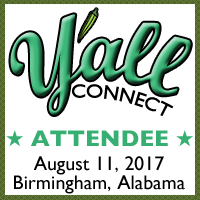 If you came to my Birmingham Bloggers presentation, “The art of the brand: What your blog needs and deserves,” thank you. If you’re just interested in proper branding for your blog, you’re in the right place. 1. You can see the slides from the presentation. Please feel free to download them or embed them on your site. To download a PDF, click the SlideShare button in the lower right, then the “Save this presentation” button. 4. Don’t forget to see the videos from Y’all Connect Presented by Alabama Power, dozens of hours of expert advice on blogging, social media, marketing and more. Contact me if you need the Birmingham Bloggers coupon code to get a free video (reg. $19). or group at no charge, contact me today.